Paul Willis scores in a crucial win over Albion Rovers. 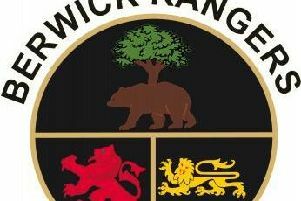 Berwick Rangers have announced the departure of midfielder Paul Willis and striker Aaron Murrell. Willis, 27, was released from his contract at his own request this afternoon and has since moved north to join League Two title-chasing Peterhead. Aaron Murrell has mutually agreed the termination of his contract. 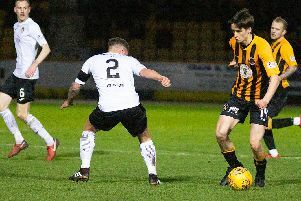 Despite the departure of Willis, arguably the club's best player this campaign - as highlighted by his move to the Blue Toon, Berwick are not expecting to replace either player before tonight's deadline. The Borderers yesterday signed Ahmed Aloulou on loan from Alloa Athletic, who was manager Johnny Harvey's ninth signing.